Today’s Bangladesh is going to develop for tomorrow. Symphony projector mobile price in Bangladesh is a query what become narrower. Each day people want to know about various kind of price of the technological product. This is a symbol of the country become develop day by day. Projector phone is important to the classroom and another important issue. Where if you don’t have a large projector and showing something in very important to everyone at a time, their projector phone is the solution. In this article, we are going to discuss in Bangladeshi market symphony projector mobile price. Make sure you share this article on your social network site. The actual projector of the smartphone is not too much strong like a professional projector. The laser beam is a perimeter what indicate what should be this symphony projector mobile price in Bangladesh. 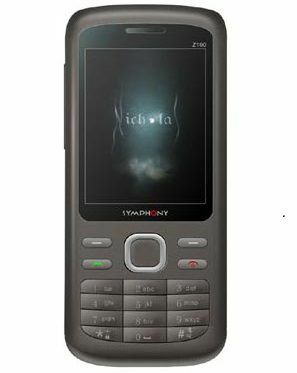 Symphony Z100 phone was release 4 years ago. At the time of release people, importantly Bengali college guys get this phone like madly. Its price is 8500 taka. The main attraction of the phone is its projector. Personally, I don’t like the appearance and its camera configuration. Because this company offers you a mobile with poor 2-megapixel camera. Even the camera does not have any sensor of updated feature. After over the Symphony projector mobile price in Bangladesh it is common that the query of configuration rises again. For your kind information, I am going to provide you that information here. There are two colors of the phone. it does not support 3G and no front camera feature. Support 8GB memory card. Sound recording and playback facility with FM radio. But there are WAP and GPRS facility are available on the phone. The display of symphony Z100 is 2.4 inch. It’s not LED, it just TFT color display. There is nothing special feature on this device without its projector. As the messenger, there are nimbus, Facebook, opera mini. Normal battery life. on the box, you will get a charger, data cable, battery and user manual. Symphony will provide you the warranty of a year on this product. The device is good. But from my personal opinion Symphony, projector mobile price in Bangladesh is too high. And for this price range, it is useless. The user can buy the more specialized product in this price range. Buy this product after thinking at least three times.